For the love of all that is good, can someone please explain to me how this hasn't been adapted into a Tim Burton movie yet? I'm astounded. 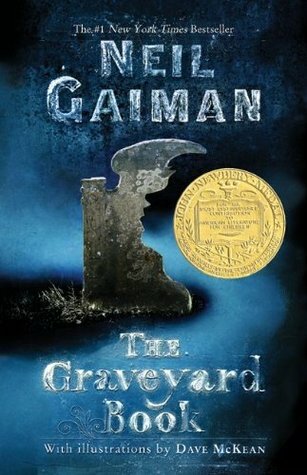 Neil Gaiman's The Graveyard Book is the perfect hodgepodge of morbid murders, creepy settings, and characters bursting with life. Or death. Whatever, you know what I'm trying to say. As the synopsis states, little Nobody Owens has been raised by a motley assortment of ghosts and other supernatural creatures. He calls an old cemetery home, and he spends his time learning all things spooky and unnatural. He sleeps during the day, and once the sun has set, he studies by the moonlight with his ghostly companions. As strange as it sounds, I had so much fun with Bod as he traipsed around the graveyard. I gobbled up every gruesome spirit's tale and every macabre little detail. I could easily visualize every scene, and the entire novel embodies such a delightful mood. Yes, delightful might seem like an odd word to use, but I truly felt giddy about this expertly executed story. The novel undoubtedly stands out from others of its kind. I mean, how often can you say that 99 percent of the characters in a novel are deceased? Heaps of praise to Gaiman for crafting a world in which the dead seem so very alive. The originality simply can't be overlooked. I had never picked up one of Gaiman's novels before, but after devouring this nightmarishly delicious tale, I'm eager to get my hands on more of his work. While reading The Graveyard Book, I was overcome by the same emotions I felt when I read A Monster Calls and The Book Thief. It's like you can feel it in your bones (no pun intended) when you stumble across a book that's pure magic. I don't usually delve into the world of children's literature, but I think The Graveyard Book is a novel that can span across any and every age group. So, in short, this book is the bomb. It's enchanting, mysterious, and downright clever in a way that most novels aren't. 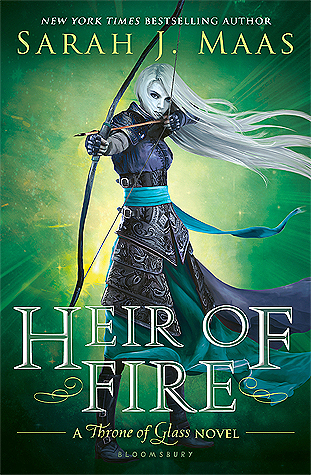 I've already decided to order a copy for my younger brothers, and don't be surprised if you find me thrusting it into the hands of any reader I meet.